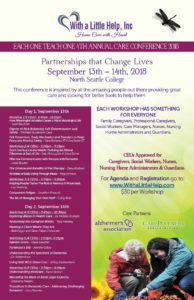 This conference is inspired by all the amazing people out there providing great care and looking for better tools to help them. 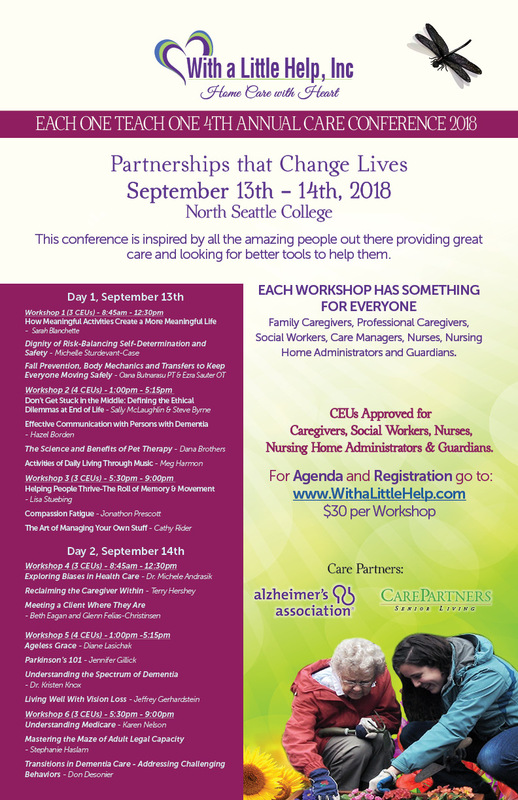 EACH WORKSHOP HAS SOMETHING FOR EVERYONE – Family Caregivers, Professional Caregivers, Social Workers, Care Managers, Nurses, Nursing Home Administrators and Guardians. CEU’s Approved for Caregivers, Social Workers, Nurses, Nursing Home Administrators & Guardians.